Kim "Dr. G." Golombisky, a former advertising and public relations professional, began teaching mass communications at the University of South Florida, Tampa, in 1993. She is currently the interim director of the USF Zimmerman School of Advertising and Public Relations. From 2011 to 2018, she served as graduate director in the USF Department of Women’s and Gender Studies, the second oldest such program in the United States. She has consulted on graphic design and copywriting for Walt Disney World Resorts, Progressive Insurance, ASNE High School Journalism Program, and Publix Supermarkets. 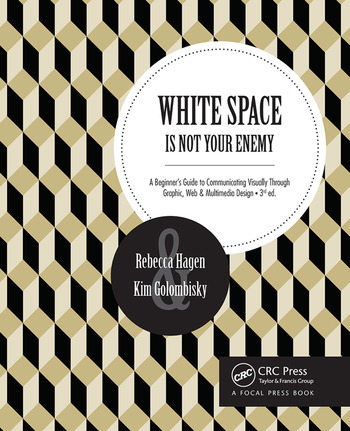 In addition to coauthoring White Space Is Not Your Enemy: A Beginner’s Guide to Communicating Visually through Graphic, Web & Multimedia Design, she has edited two anthologies on advertising and feminism. She also has been visiting faculty for diversity at The Poynter Institute for Media Studies.